Over the next three years, the Emotive project team will be working closely with two cultural partners, Çatalhöyük in Turkey and the Hunterian Museum at the University of Glasgow, Scotland, to develop and test new storytelling tools. 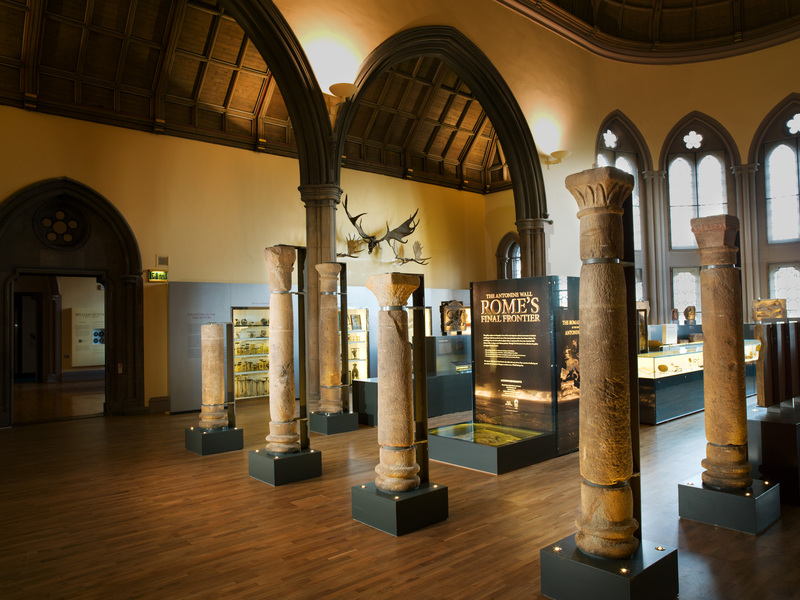 ‘The Antonine Wall: Rome’s Final Frontier‘ is an exhibition located in the permanent gallery of the Hunterian Museum at the University of Glasgow. It showcases hundreds of objects recovered from the Wall including altars, gravestones, leather sandals, other personal artefacts and even board games. Why was The Hunterian chosen for a project on emotional storytelling? Built around AD 142, in the reign of the Roman emperor Antoninus Pius, the Antonine Wall ran coast-to-coast across Scotland from the Clyde to the Firth of Forth. At one time, there were 6,000-7,000 men stationed in forts along the Wall, many with their wives, children and slaves. • the abandonment of the Wall and the story of its rediscovery over the last 350 years. Emotive will explore these themes, delving into the rich potential of the Wall to inspire evocative, emotionally-driven stories that can appeal to visitors of all ages. The project offers enormous potential for testing how digital storytelling tools affect the experience of diverse visitors. This will help inform the interpretation and public engagement strategies of not only The Hunterian, but also other cultural organisations and heritage sites.